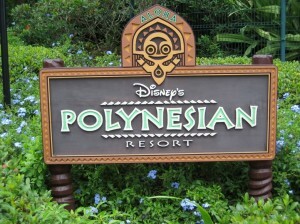 Hi Mamas, Today we continue our tour of Walt Disney World Resorts with my one of my favorite deluxe resorts-The Polynesian. It is one of the three resorts that is on the monorail. I love just about everything there is to offer at this resort. 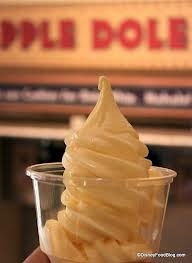 1) Convenience-It doesn’t get much more convenient than being on the monorail. 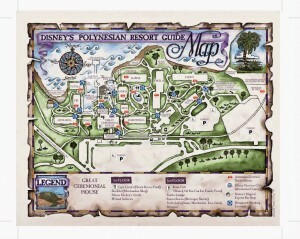 There is one stop between the Polynesian and the Magic Kingdom. 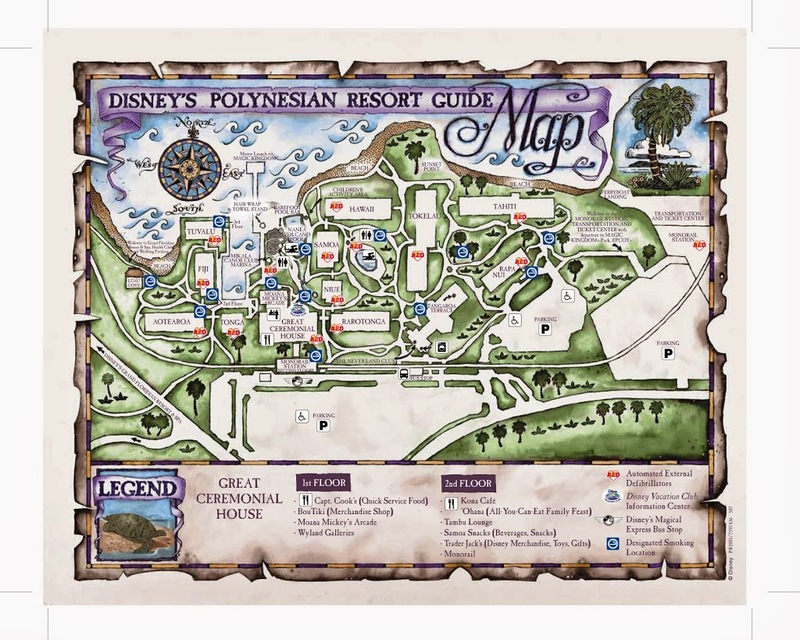 And what is an added bonus here, is the Ticket and Transportation Center is walking distance from the Polynesian. That means you can walk over and take the monorail to Epcot also. 2) Spacious! These rooms can accommodate a family of five. 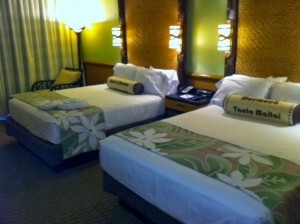 There are two queen beds and a day bed. There’s a lot of storage space. The bathroom is huge! And there’s a little bit of open space too which our kids loved being able to play with their toys when we were in the room. 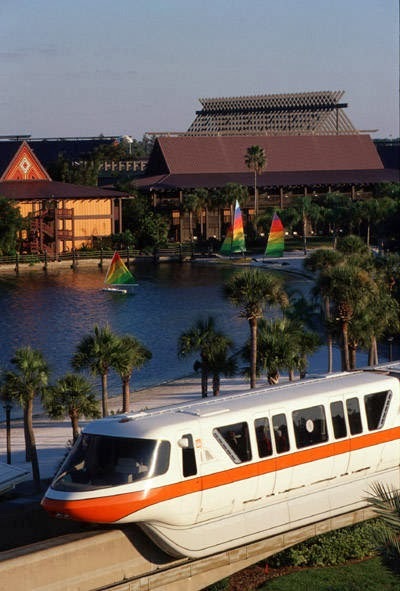 3) Peaceful-I was concerned that the monorail would be really loud but when the patio door was shut, we couldn’t hear it at all and we were literally right next to the monorail line going through. When you come back from a busy day at the parks and you step onto the grounds, it is so peaceful. The lushness of the vegetation definitely take you back to the South Pacific. 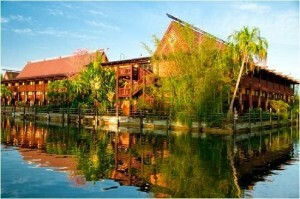 The way the longhouses are laid out, you don’t feel how big the resort really is. It doesn’t seem crowded in the least. 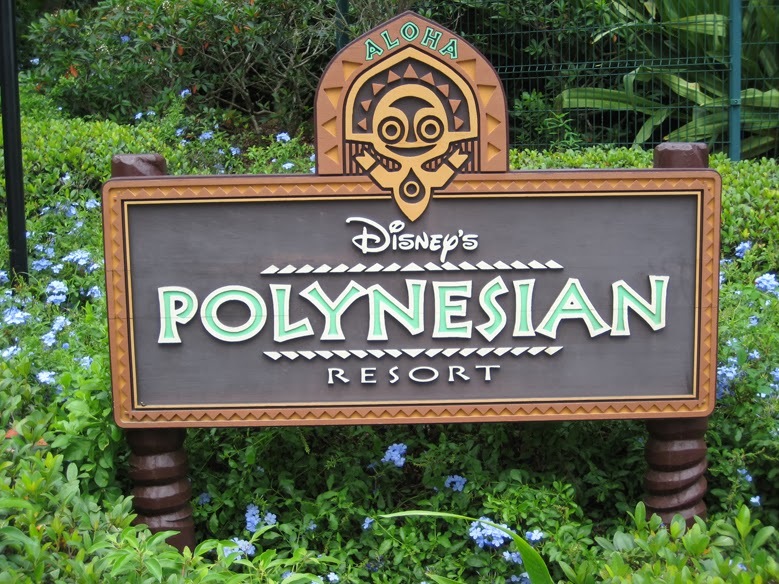 If you want a deluxe resort that allows you a peaceful but convenient location to the parks, the Polynesian needs to be at the top of your list. The rooms needed a brightening update and they have received it. The updates make the rooms feel even bigger and it makes it a bit cheerier. For those of you that stayed here as kids, you might be a bit nostalgic for the rooms before their update but you will still love the resort.